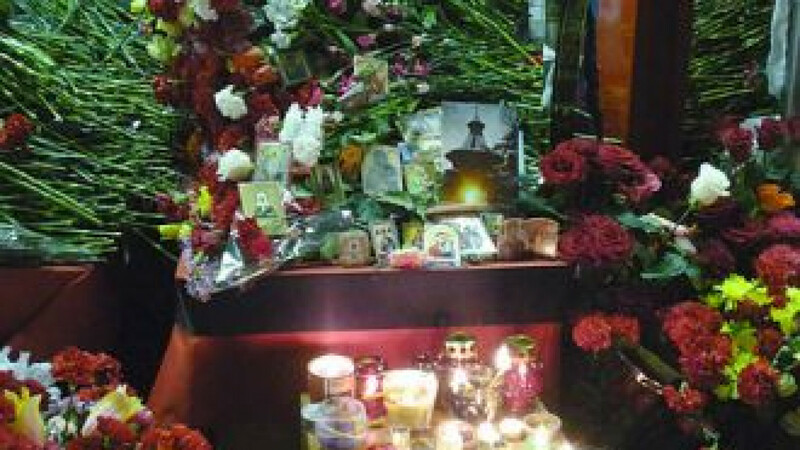 A memorial left at the Park Kultury metro station after the 2010 bombing. The National Anti-Terrorism Committee said Wednesday that special forces in Dagestan had killed an armed insurgent who organized dual terrorist attacks in the Moscow metro that killed 40 people and left more than 80 injured in 2010. But regional experts and security analysts doubted that the slain man was behind the deadly metro bombings, saying law enforcement officers habitually use extrajudicial killings as a means of exerting control over the restive North Caucasus. “The FSB has successfully tracked down and brought to justice all those responsible for the terrorist attacks. Today, the last of them got what was coming to him,” the committee, controlled by the Federal Security Service, said in a statement. Local media reported that Gusen Magomedov, 35, was shot dead at roughly 2:30 a.m. in a wooded area near the village of Kadyrkent after putting up armed resistance. Law enforcement officers had been searching for him since March 29, 2010, when two female suicide bombers detonated homemade explosives in the Park Kultury and Lubyanka metro stations during morning rush hour. The FSB believes that Magomedov was the only organizer of the bombings to have evaded capture and that he accompanied one of the suicide bombers to the Park Kultury station on the day of the attacks. Other men suspected of facilitating the bombings were killed in 2010 and 2011. Late Wednesday, a lawyer for victims of the attacks told Russian News Service radio that he would request that property Magomedov owned be confiscated and used to compensate his clients. Commenting on the operation in which Magomedov was killed, Andrei Soldatov, an intelligence analyst who heads the Agentura.ru think tank, said it was impossible to check whether the 35-year-old had played any part in the metro blasts. “We shouldn’t believe a word the FSB says, given the specifics of the fight against terrorism in the region. It seems to me that special forces deliberately kill certain targets since they can’t prove their guilt in court,” Soldatov said. Magomedov’s death comes a week after special forces in the nearby Kabardino-Balkaria republic killed a suspected insurgent accused of murdering a local TV anchor. Police said at the time that the suspect couldn’t be taken alive and that he had attempted to fire on special forces officers. Both experts said the practice of extrajudicial killings was unlikely to bring down the republic’s militant Islamist insurgency, which is fueled by high unemployment and deep-seated corruption. Regional authorities have said law enforcement officers killed 391 insurgents in Dagestan last year, while 211 officers and 78 civilians died in terrorist-related incidents over the same period. Dagestan is frequently ranked among the most dangerous places in Europe, and unemployment there is twice as high as in the rest of Russia. “The situation in Dagestan remains tense because the root causes of the violence haven’t been addressed. No one is working to create jobs,” Agarkov said, adding that federal subsidies to the republic are channeled through the hands of a narrow circle of crooked officials.